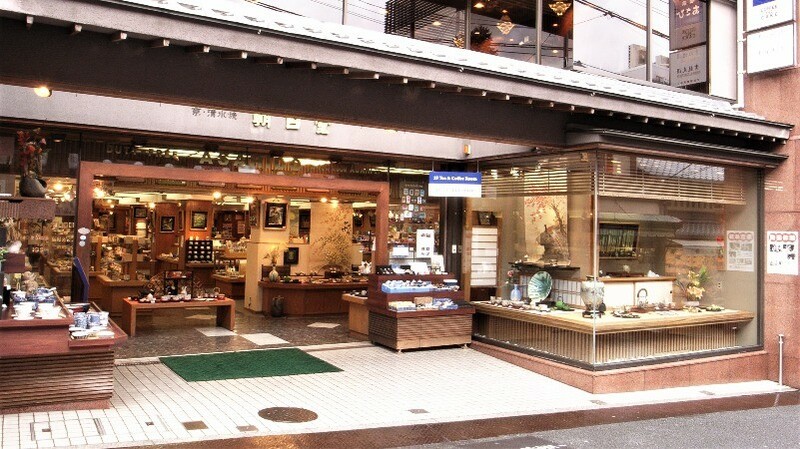 Where to buy traditional crafts in Kyoto? Knives, Kiyomizu-yaki, Kyo-yaki, folding fans… there are so many traditional handcrafted things to get in Kyoto! But where can you find the best ones? 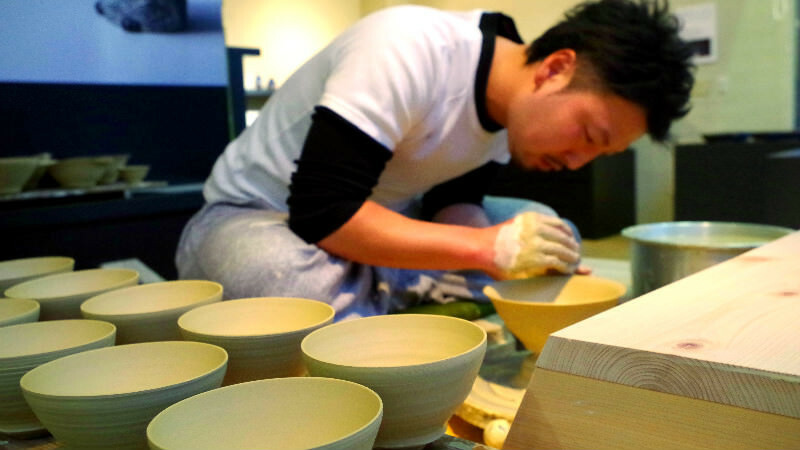 Things made in Kyoto are known for their quality: the knives are favored by famous chefs, and the stoneware made in Kyoto is of such quality that it’s easy to mix up with porcelain. The history of Aritsugu began 450-years ago, although back then they were not making knives. They were making samurai swords like katana, so their craft was not quite as peaceful as now. 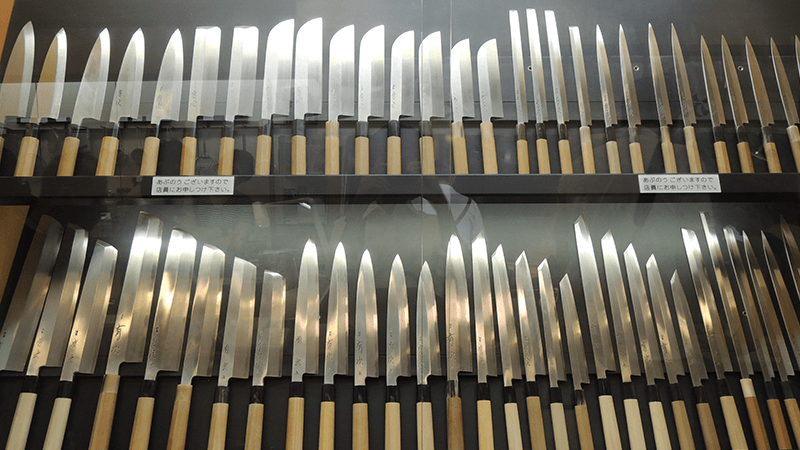 Aritsugu is not only frequented by tourists, but it’s also a store where professional chefs buy their knives. But not everything at Aritsugu is only for professionals, as they also sell many cheaper knives which we not-so-culinary-gifted can also enjoy using. One of the best parts of buying a knife at Aritsugu is that they offer an engraving service, so you get to have your name engraved on the knife – make it truly one of a kind! Note that knives have to be put into checked baggage. Kiyomizu-yaki, or Kiyomizu ware, is a type of Japanese pottery made near Kiyomizu Temple in Kyoto. The colors are few but bold, and the glaze is very noticeable. 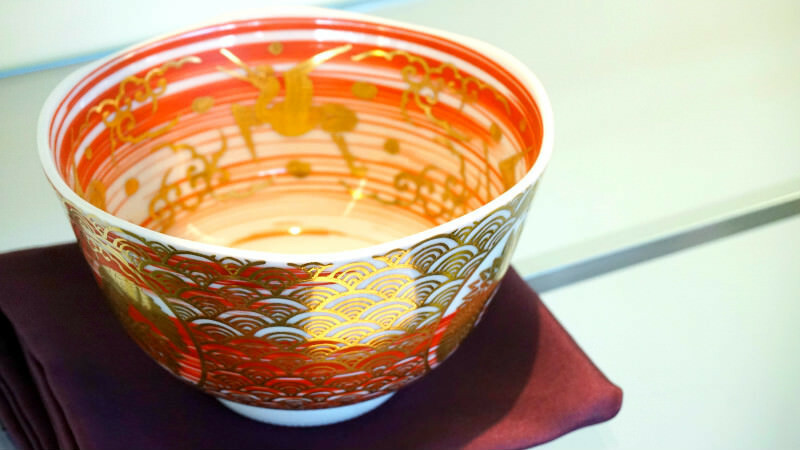 In Japan, Kyoto is considered to be exceedingly famous for its Kyo-yaki and Kiyomizu-yaki, and the quality of this Kyoto-pottery is recognized worldwide. A great place to get Kiyomizu-yaki in Kyoto is Kyo-Kiyomizuyaki Asahido Honten which is a huge ceramics specialty store right in front of Kiyomizu Temple. They sell all types of Kiyomizu-yaki and also ceramics and pottery from other parts of Kyoto too, which are known as Kyo-yaki. Their prices start from around 1,000 yen, so you can get some teacups very cheaply here. However, they also sell authentic Kiyomizu-yaki artwork too, so they also have products that cost thousands of dollars. So, you could say, they have something for everyone. 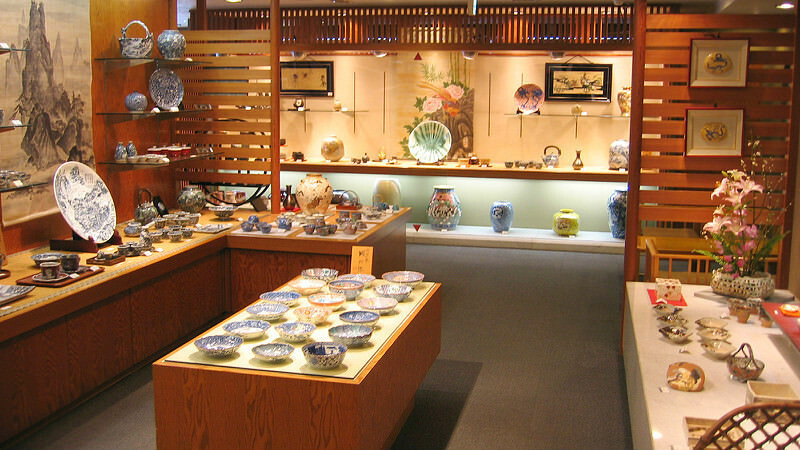 If you want something even more artisanal, you should head to the Kyoto Ceramic Art Association’s Official Shop &Gallery located not too far from Kiyomizu Temple. They have a good selection of Kyo-yaki and Kiyomizu-yaki here, both by up-and-coming artists and veterans alike. This is a great place to learn more about both types of pottery, but it’s also a place where you can buy one-of-a-kind artwork. So, of course, the prices for some of the things here may be a bit expensive, but in the other hand, you can’t find anything like the things sold here anywhere else in the world. This fan shop has been in the business of making folding fans for around 300 years, so naturally, it’s one of the best places in Kyoto to visit if you want to buy a fun. 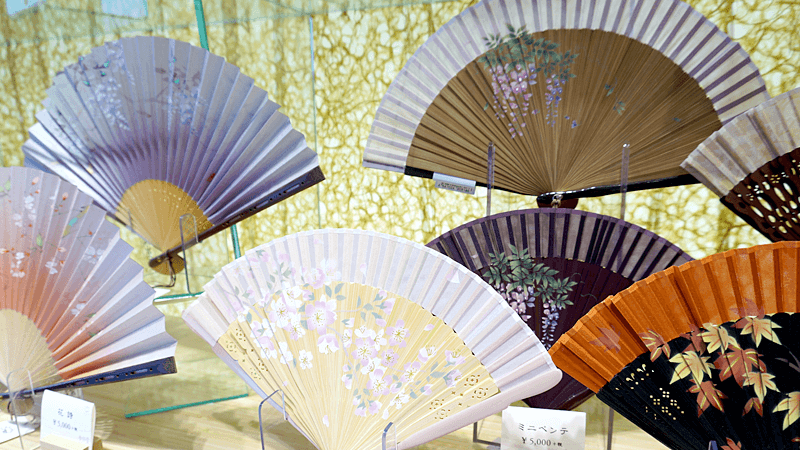 Fans are a must-have item in Kyoto in summer, but they’re also pretty as decorative objects in the house. This shop also has English and Chinese speaking staff, so you don’t have to worry about the language barrier. 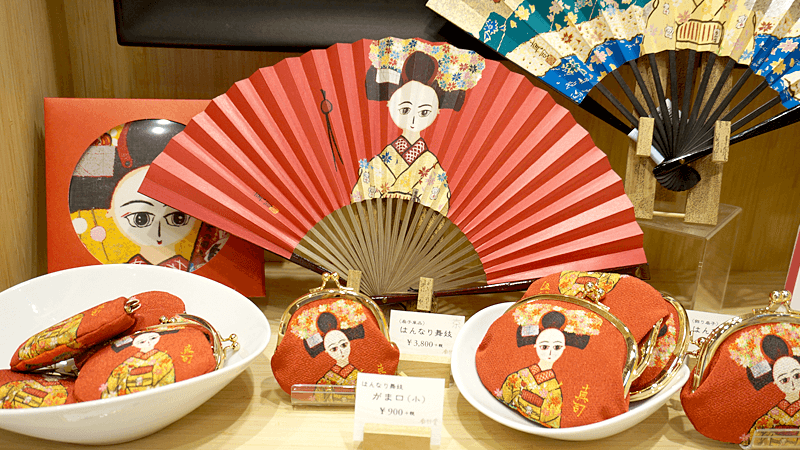 Note that they also have a nice selection of products with pictures of maiko on them, which are also pretty cheap, so those looking for nice, cheap, Kyoto-like souvenirs should pay Ryosen a visit. Kyoto is the perfect place to look for handmade things. The quality here is tested by history, as most of the shops have been doing their respective trade for hundreds of years.